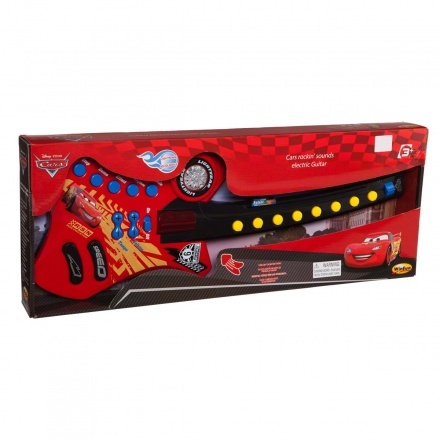 Cars 2 Rocking Sounds Electric Guitar | Multicolour | Removable toy bar with hanging toys. 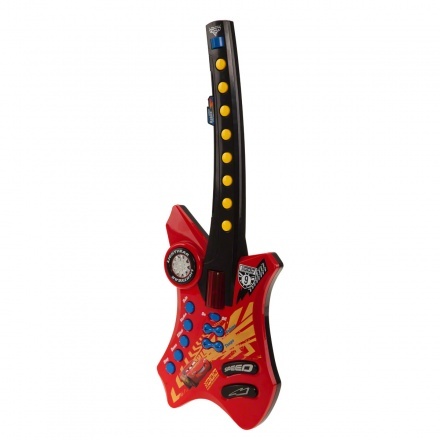 Perfect for budding rockstars, this 8-note electric guitar features flashing lights for lots of style and attitude. 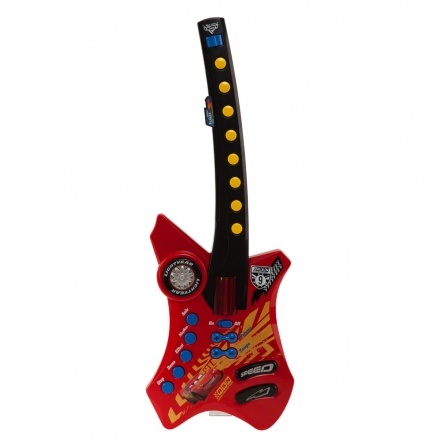 It has dual sound pads for crazy sound effects and an adjustable shoulder strap for convenience. Feature 1 : Removable toy bar with hanging toys. Feature 3 : Machine washable seat pad. 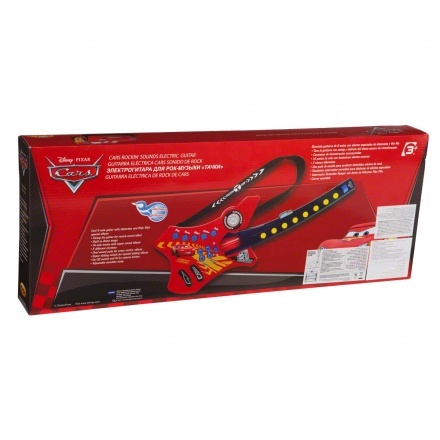 Feature 2 : 3 point harness system.